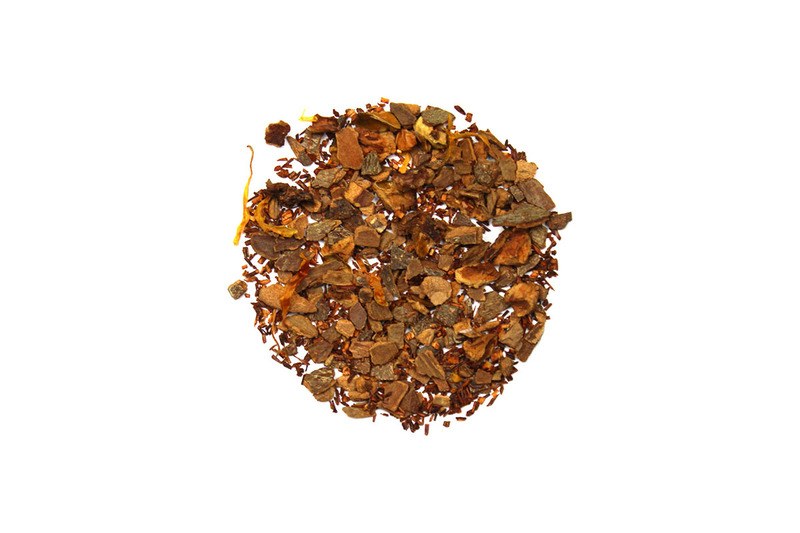 A fun seasonal decaf blend of Cinnamon chips, apple pieces, and rooibos tea. This is a tea to experiment with, add a cinnamon stick to it or a splash of spiced rum and see how the tea evolves into something magical. I love this blend <3 It's a tea I definitely don't want to run out of! Perfect drink to sip while reading a nice book. Reminds me of fall desserts! Very nice evening tea. I'm not usually a fan of apple cinnamon, but this tea is delicious with a little milk. It was very soothing during the holiday season.